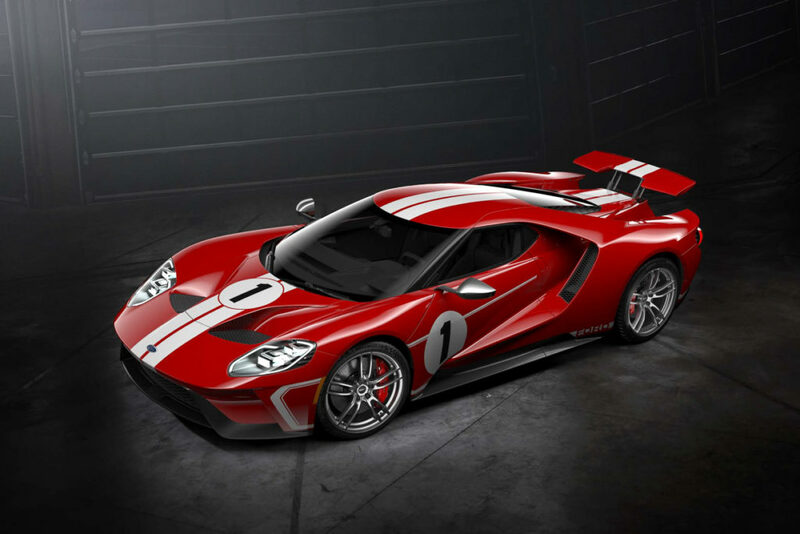 The all American automotive superstar that is the Ford GT will don a new livery for 2018. 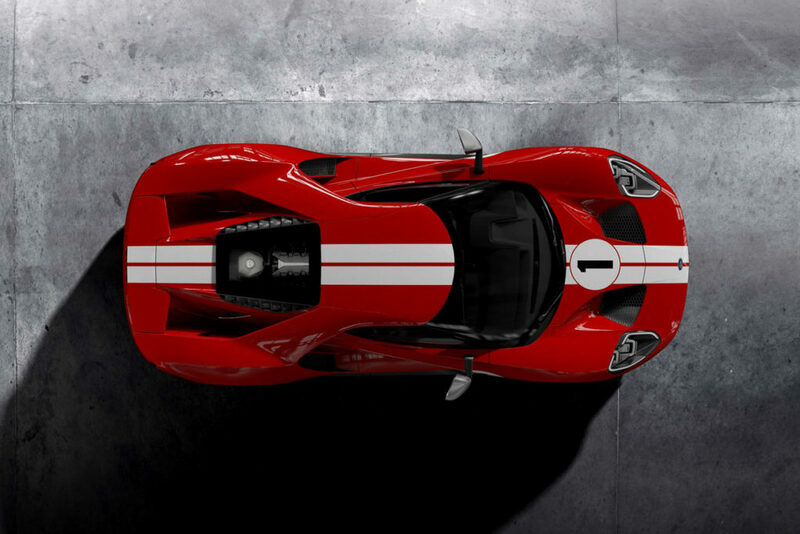 The new color scheme will be in honor of the historic win that Ford achieved in 1967 at Le Mans in their number 1 car, the GT40 Mark IV . 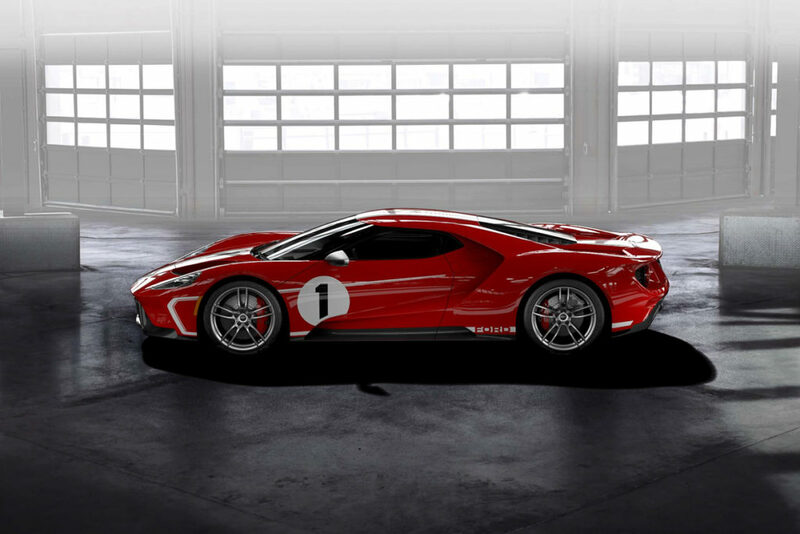 The new limited edition Ford GT ’67 Heritage livery will consist of a gloss-finish Race Red paint job accented by white stripes and exposed carbon which should up the race look of an already aggressive looking car. 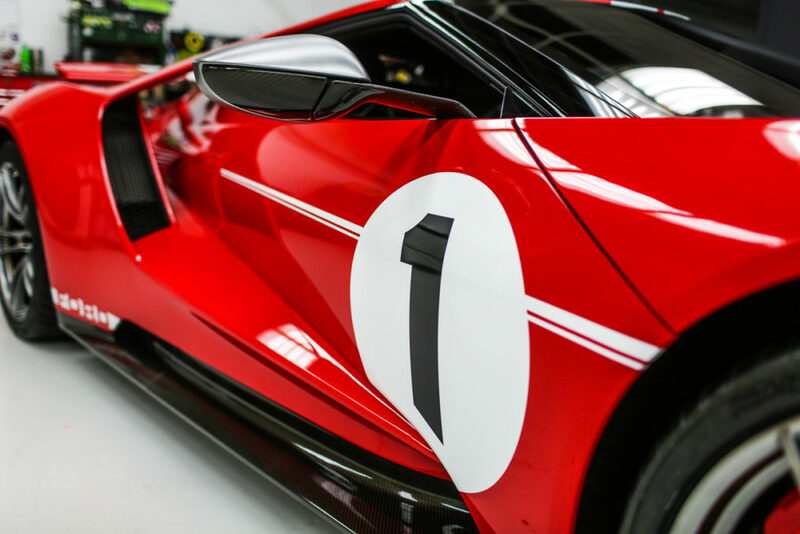 The vehicle will also come with a white number “1” on the hood and door (in honor of the winning car) as well as 20 inch forged aluminum rims in a lean bisected spoke design. 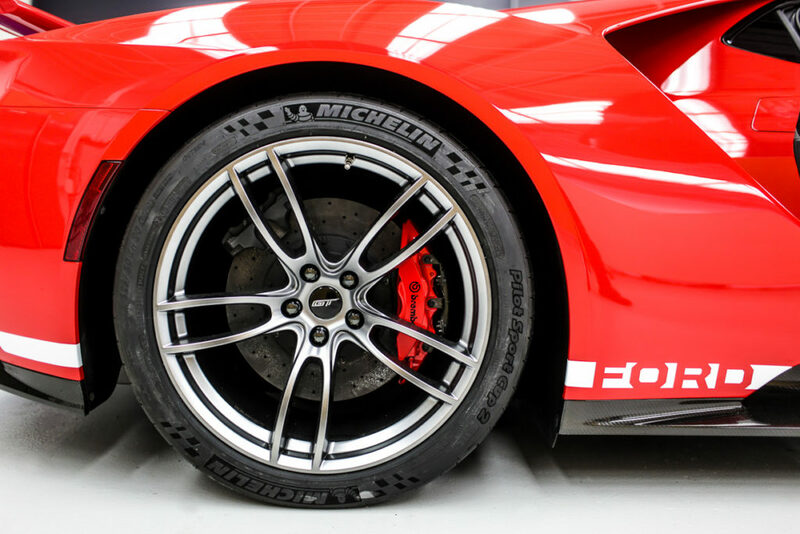 The factory color of said wheels will come in a Silver Satin finish and paired up with black lug nuts while the race-ready calipers sit waiting to break necks in a similar red color. After a quick run with the configurator it looks as if the wheel choices will be locked to the specific Heritage ’67 Edition. 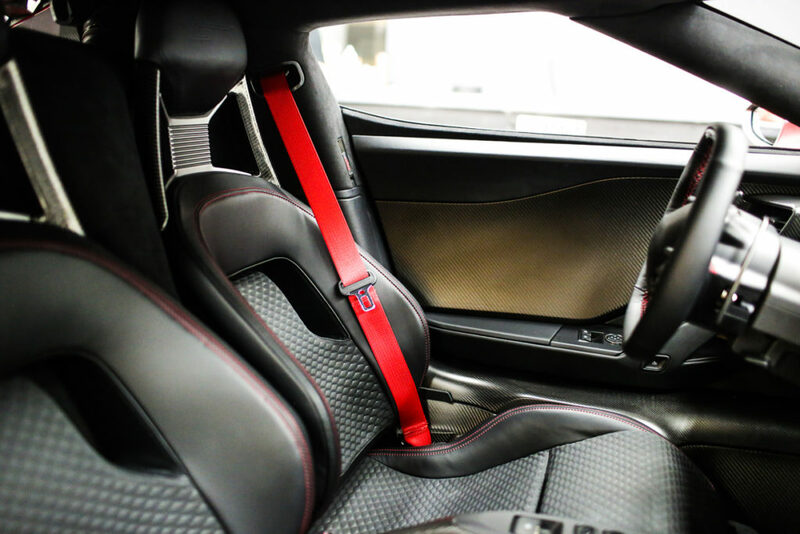 New leather trimming will wrap the carbon fiber seats in the vehicle, while red accent stitching continues the scheme in the cabin and then again on the race wheel as well. Other updates to the interior from the standard model include red webbing on the seat belt and anodized gray paddle shifters for a superb premium feel. The 2018 ’67 Heritage Edition will also come with its unique identification plate in order to increase the uniqueness and value of the historic pony car and of course exposed carbon fiber for days! Lucky owners of the vehicle will find it on the door sills, air register pods, and center console as well. Perhaps in your veins too after a few drives with the gorgeous car. 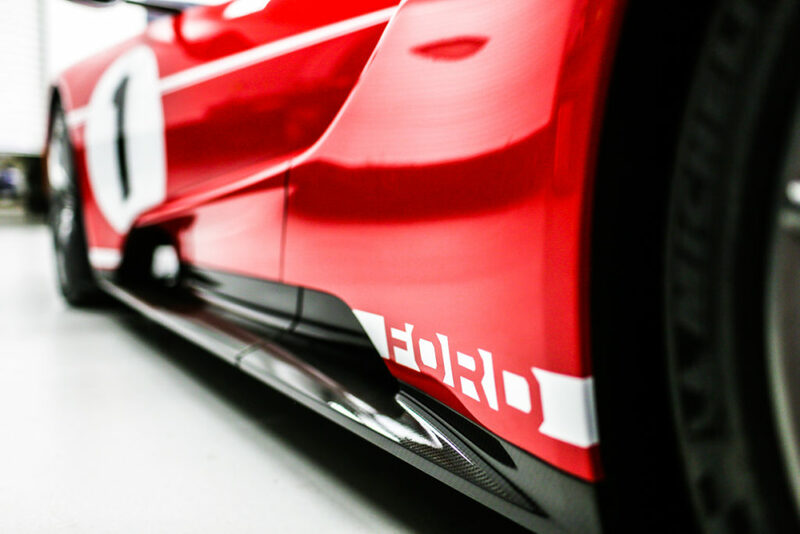 As if it wasn’t obvious, the vehicle will be available in limited numbers for the 2018 year and will most likely also be subjected to Ford’s application process. You can check out the vehicle in the configurator or come up with your own design here.